Air pollution is one of the most significant environmental and public health issues facing London. Research shows that it leads to nearly 9,500 deaths each year in the capital. More deprived parts of the capital generally experience higher levels of air pollution. We are increasing the evidence base and reviewing the impact of current and proposed policies on air pollution in London. We have and continue to work with ClientEarth and London Sustainability Exchange to tackle these issues and have previously worked with Policy Exchange and King's College London. Air pollution is one of the most significant environmental and public health issues facing London. Research by Policy Exchange and King’s College London shows that it leads to nearly 9,500 deaths each year in the capital. If air pollution stayed at current levels it would reduce the average life expectancy across all Londoners born in 2010 by up to 2 years. Nearly 4 million people work in parts of London which are above legal limits for nitrogen dioxide pollution. More deprived parts of the capital generally experience higher levels of air pollution. 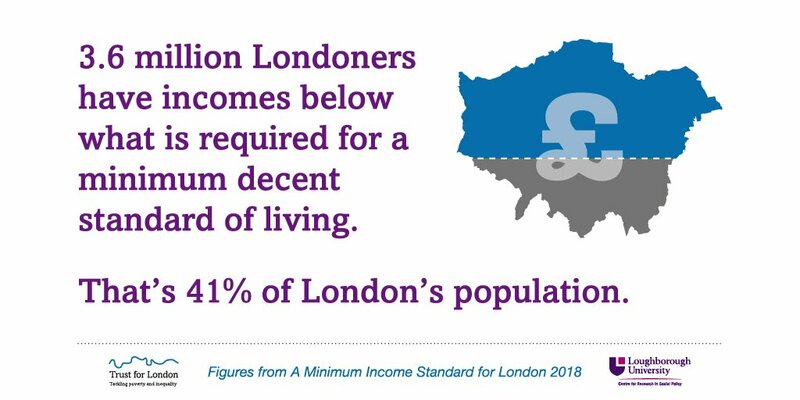 For example, children living in the worst streets in the capital for air quality are nearly 50% more likely to be eligible for free school meals than the London average. Not only is it bad for our health but it also hurts the economy. The total economic cost associated with poor air is estimated at £3.7 billion. It is consistently identified by Londoners as an issue they want to see addressed. Polling by YouGov on behalf of ClientEarth found that 4 in 10 Londoners see air pollution as the main risk to their health; 7 in 10 parents are worried about the impact of London’s air quality on their children’s health; and nearly 8 in 10 believe the Mayor has a responsibility to improve air quality. However, the UK has failed to meet air quality targets. In the past progress has been made. The Clean Air Act 1956 led to radical action to tackle the great smogs which had plagued London. More recently some pollutants have reduced, for example levels of carbon monoxide and sulphur dioxide in London have dropped by 80 % since 1996. Much greater progress is now needed on nitrogen dioxide and particulate matter which is linked to asthma, lung cancer, respiratory and cardiovascular diseases, infant mortality and low birth weight. The Mayor is taking steps to improve air quality, for example through the introduction of an Ultra Low Emissions Zone, but these measures will be insufficient to meet air quality targets any time soon. The changes needed in policy require a new scale and urgency including action on diesel cars. We are currently supporting the work of ClientEarth to establish of a clean air zone in London by 2020 through a coordinated legal, public affairs and media campaign, targeting the Mayor in the first instance and the UK Government in the second. We are also funding London's Air Quality Action Network, which empowers representatives of polluted neighborhoods to raise their voices in shaping policy. In partnership with London Citizens/TELCO, they are reaching out and supporting residents who are most in need of this project - in East London and especially Tower Hamlets. We have also helped increase the evidence base, reviewing the impact of current and proposed policies on air pollution in London. We awarded £79,000 to Policy Exchange and King’s College London in 2015 towards research providing an independent evidence base and recommendations on the most effective policies to improve air quality in London. The study provided estimates of likely air pollution levels once (then) current policies were implemented and identified what additional steps were required in order for London to meet legal air quality limits. It also looked at health and economic impacts. We produced a video, in collaboration with Policy Exchange and King’s College London, on the issue of air quality in London and the steps the Mayor of London could take. We have also provided other grants to ClientEarth such as £300,000 in funding in 2015 to cover the costs of a new Senior Campaigner, message testing, opinion polling and other campaign costs. This grant was is in addition to the legal work being undertaken by ClientEarth. We also funded London Sustainability Exchange in 2013 to support local communities to influence local policies and plans to improve air quality in London. It supported 11 organisations and trained 45 community champions in developing local action plans and engaging with local authorities, businesses, the public and media.